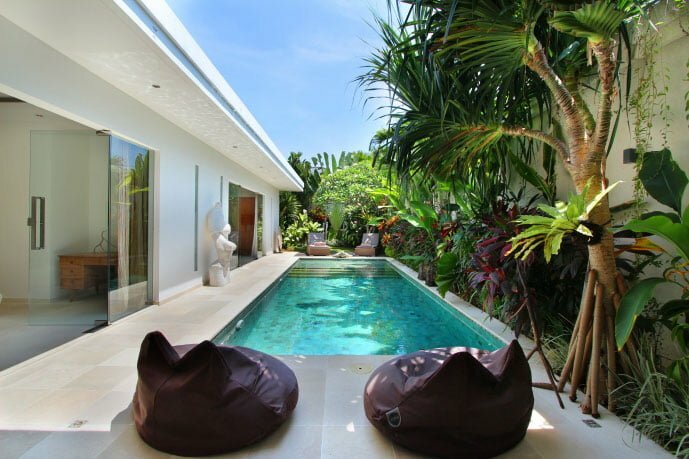 If you’re looking for a cozy, tropical oasis in Bali, then Villa Kallayaan is the holiday home for you. 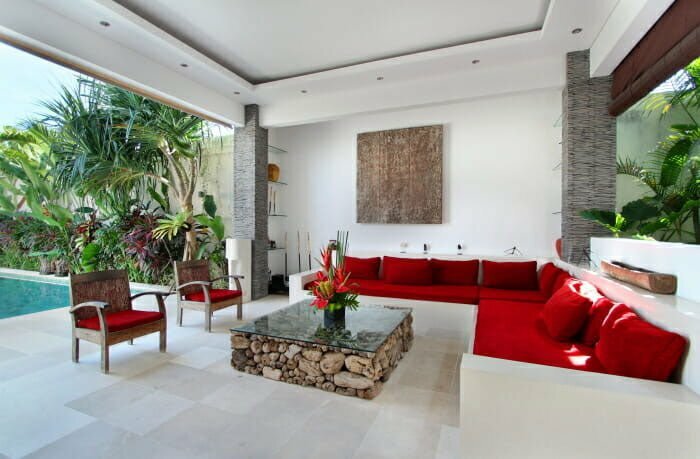 This 3-bedroom villa embraces elegance and simplicity, while delighting you with vibrant splashes of colour in a fun, tropical ambience. 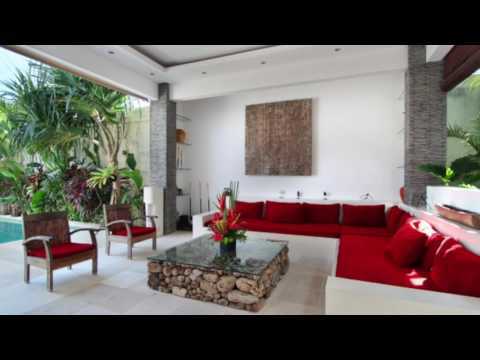 Villa Kallayaan offers a modern design and layout with ivory walls and Palimanan stone floors. 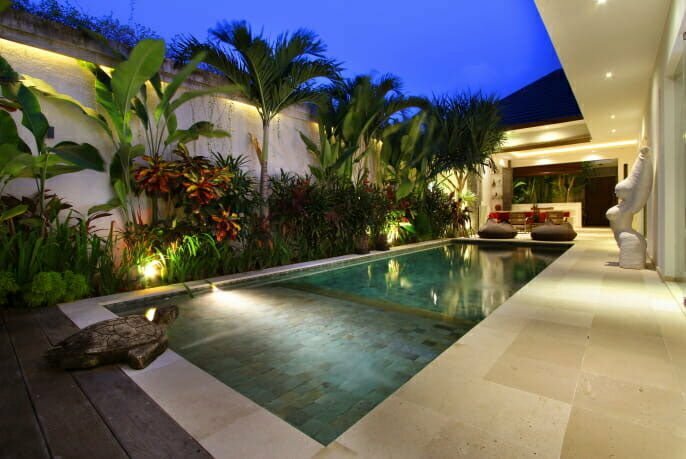 The adorable living room is an open-air space with marvellous views of the pool and garden landscape. 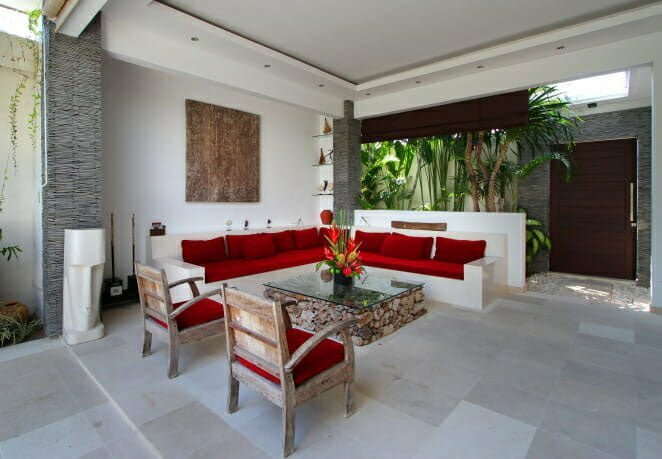 Extra-wide sofas covered with rich red pillows surround a striking coffee table made of fossil wood. The villa’s kitchen is remarkably spacious and fully equipped. 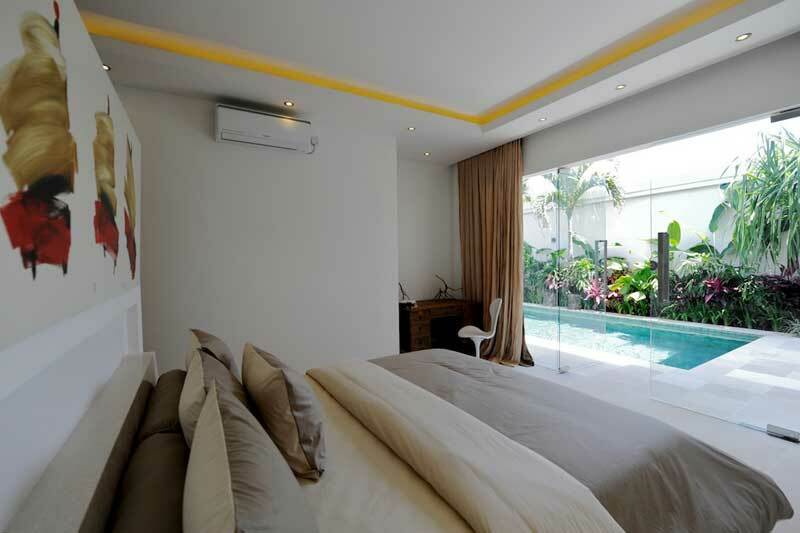 Two master bedrooms and one smaller bedroom are all air-conditioned and furnished with LCD TVs. 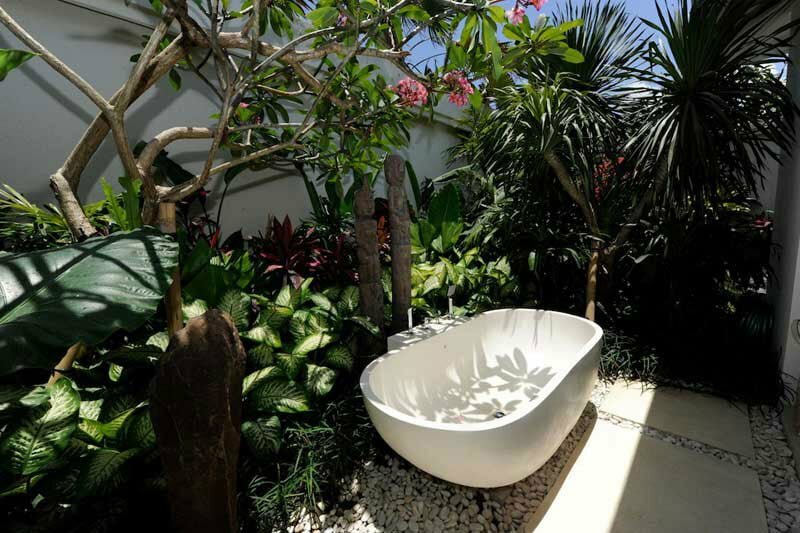 The main master bedroom features a luxurious garden bathroom in which local flora and exotic trees line the gorgeous terrazzo bathtub under an open sky. 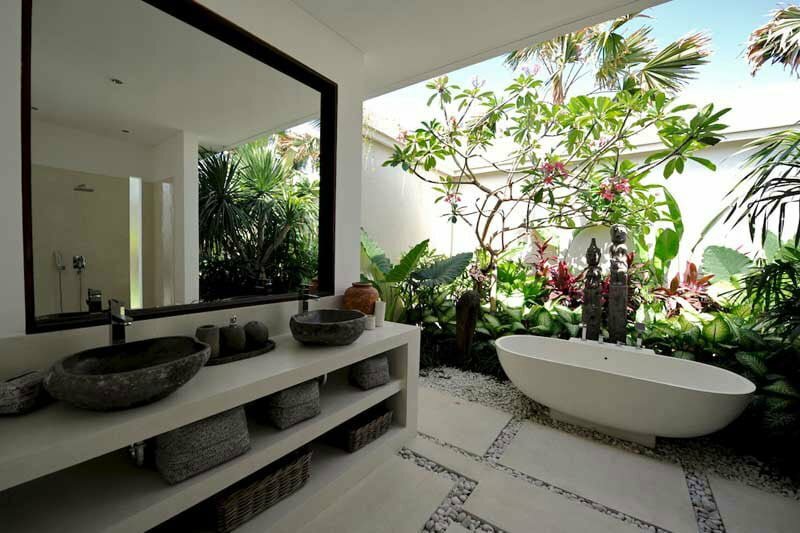 Enjoy all the modern amenities Villa Kallayaan has to offer, including cable TV and WiFi, while basking in an environment of blissful tranquillity. 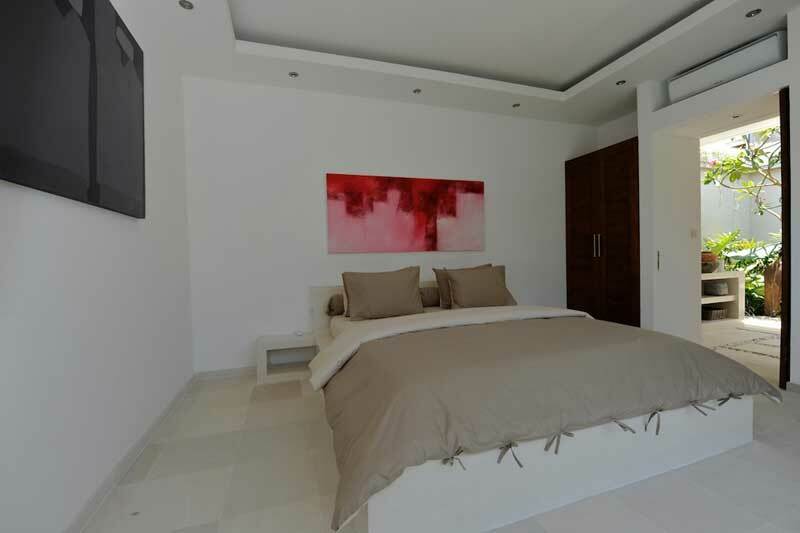 When you’re ready to step out of this comfy villa, you’ll find that the beach is only 1.5km away, and a wealth of magnificent restaurants are within a short stroll away. 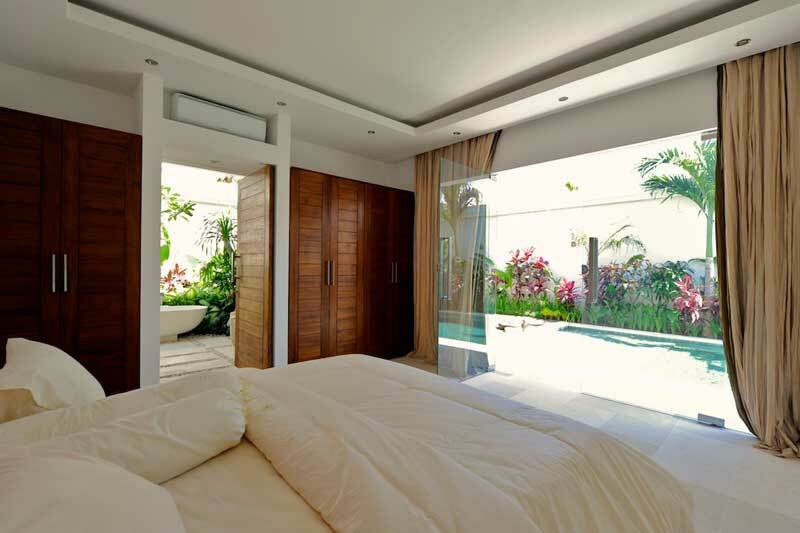 Extra Bed: Not available for this villa.